A Blind person’s reality is no less “real”, no less complete, and no less nuanced, than your own, as a sighted person. This extends to those with other sensory challenges like the Deaf and hearing impaired, individuals on the autism spectrum, or those with sensory processing disorders. And yet Virtual and Augmented Reality are nearly always portrayed as goggles and headphones. Because humans are such visual creatures, we tend to skew that even harder, thinking of both VR and AR as almost exclusively visual things and the headphones on an Oculus Rift as a convenient addition – one that software developers typically consider after everything else is taken care of. 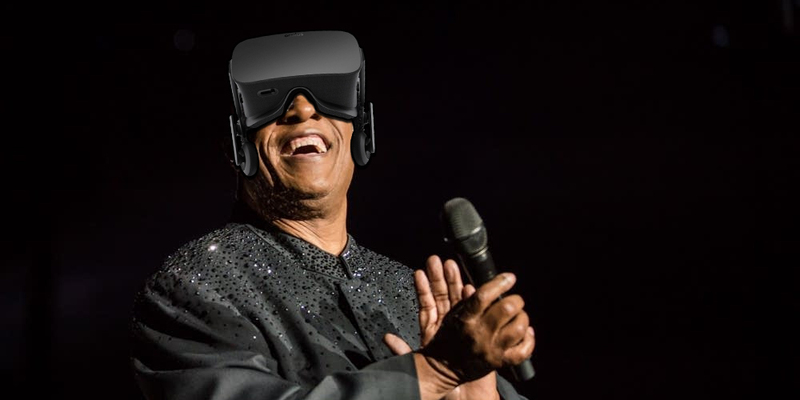 As if the “reality” of someone like Stevie Wonder is inherently less “real” than our own. Back in the 90s, I championed the inclusion of alt-text on websites with every client I had – advocating that even in the absence of widespread assistive devices for blind or visually impaired web users, building something right to begin with was usually trivial, while fixing it later was often tedious and cost-prohibitive. Since I was doing a tremendous amount of work back then for government and government contractors, I always suspected that they later wished they’d listened. In 1998 when the standards were announced and in 2000 when the guidelines went into effect, all government offices and organizations receiving federal money were required to implement accessibility standards on their websites. It was the ADA for the internet. For the rest of the article, and to see how we’re going to help address this challenge, follow this link to the rest of my LinkedIn article. I’d intended to write about this in much more detail earlier – but plenty of things have gotten in the way. Sometimes there’s just not time to write everything out – but since much of this has still not, a month after WWDC, been discussed in the media it seemed worth spending an hour or so to write out. If you enjoy this sort of thing, or would like to hear about a major new AR announcement I’ll be unveiling later this month, please follow me on LinkedIn or on Facebook at my Public Page. You all know the story, already. … and for the rest of this article, pick it up here en my LinkedIn blog.